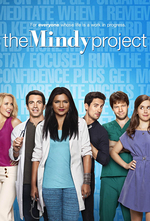 The Mindy Project: Stay At Home M.I.L.F. Both Mindy and Danny test out the life of a stay at home parent, while Colette enlists Morgan to pretend to be her boyfriend to avoid telling her brother that she's a lesbian. Also, Mindy makes a mean grilled cheese and tomato soup. This was a much more balanced episode; it prolongs the conflict, what with Danny having to rush away to care for his father and Mindy not telling him she wants to go back to work, but the characters mostly felt like actual humans. I actually like Colette a lot; even if they are skirting the edge of extreme stereotype (I was kind of hoping everyone was wrong and she was just an unconventional straight girl, though I appreciate the addition of a gay character), but there are enough non-stereotypical things about her. It could easily be pushed into stereotype, so they've got to be careful. The mommyblog satire was great, as was that neither of them could do the stay-at-home parent thing, though I was kind of hoping Danny would decide that he wanted to do it instead. That would be nice and unconventional, and fit with many of his skills. The best thing about the episode, I think, was re-establishing that Mindy is great at her job (I much prefer that to her sexually assaulting patients and her being wrong all the time) and establishing an actual rapport between her and Dillahunt's character, who, like you said, is probably the new Peter, and who grew on me a bit. (I was expecting him to try to get her fired by recording her drinking on the job, but I guess it was after the job.) Danny trying to resort to trickery shows once again that he and Mindy are not so different, and the last scene was very nicely acted. I was also hoping that Danny would choose to stay home, too. Perhaps that will be the final end result. It's a wait and see.